Michael Tilson Thomas leads the San Francisco Symphony this week in a program which includes a performance by Gil Shaham of the Prokofiev Violin Concerto No 1, the World Premiere of a new work by Steve Mackey, , and Tchaikovsky’s magnificent Symphony No 4. Prokofiev began composing his First Violin Concerto in 1915, and although the score was completed by the summer of 1917, it wasn’t performed until 1923 – delayed by the Russian revolution. The premiere took place at one of the Concerts Koussevitzky in Paris – where Prokofiev had settled after his return to Europe from the United States. Serge Koussevitzky conducted, and his Paris concertmaster, Marcel Darrieux was the soloist. The work wasn’t terribly well received, however, since Darrieux, although an able violinist, apparently lacked the ability to make the concerto come alive. Critics were also condemnatory because of the non-traditional arrangement of the work, and interestingly, it was this unusual arrangement which attracted Joseph Szigeti who performed the concerto in Prague – with Fritz Reiner conducting – after which it really took off. In his memoirs, Szigeti wrote that from the outset he had been fascinated by this concerto because of “its mixture of fairy-tale naïveté and daring savagery in lay-out and texture”. 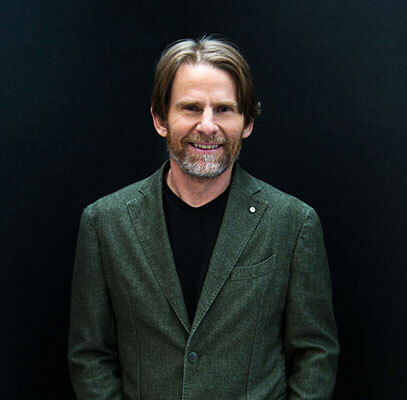 The opening work of the program is Mackey’s Portals, Scenes and Celebrations, a work commissioned by the San Francisco Symphony and composed in honor of Michael Tilson Thomas. Steve Mackey was awarded the first-ever Distinguished Teaching Award from Princeton – where he currently teaches composition, music theory and courses on 20th century music and improvisation. Among other honors are a Grammy Award, several awards from the American Academy of Arts and Letters, a Guggenheim fellowship, the Stoeger Prize from the Chamber Music Society of Lincoln Center, and the Kennedy Center Friedheim Award. He has also been the composer-in-residence at major music festivals such as Tanglewood, Aspen, and the Holland Festival. Describing Portals, Scenes and Celebrations, Steve Mackey says it is “composed of five contrasting but connected tableaux” .… an “energetic celebration of motion and color, occasionally pulling back to refresh and relaunch toward an ever brighter next quest, but never in search of serenity”. The final work in the concert is Tchaikovsky’s Fourth Symphony, a wonderfully energetic yet emotive work which he himself regarded highly. It was written in 1877 and dedicated “to my best friend”, that person being his patron Mme Nadezhda von Meck. Known as a notable patron of the arts in Moscow, and collector of musicians, she was a devoted admirer of Tchaikovsky, and through her extraordinary generosity enabled him to concentrate on his composing without the worry of having to support himself – even though that patronage carried the unusual caveat that the two should never meet. Mme von Meck was also a friend of the pianist and conductor Nicolai Rubinstein, who led the premiere of Tchaikovsky’s Symphony No 4 at a concert of the Russian Musical Society in Moscow, on February 10, 1878. This work meant a great deal to the composer, who conceived it as a depiction of the nature of Fate. “Never yet has any of my orchestral works cost me so much labour,” he wrote, “but I’ve never yet felt such love for any of my things .… Perhaps I’m mistaken, but it seems to me that this symphony is better than anything I’ve done so far.” Many of us would be hard pressed to express a preference for just one work out of the many utterly gorgeous pieces that Tchaikovsky wrote, however there’s no doubt that this one is supremely powerful, bearing so many of the hallmarks of his genius. 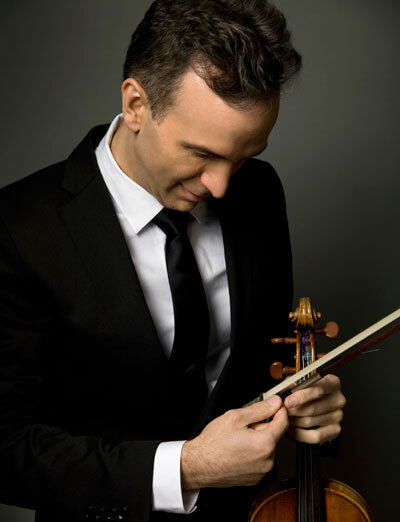 Michael Tilson Thomas leads the San Francisco Symphony in performances of works by Steve Mackey, Sergei Prokofiev – with guest violinist Gil Shaham – and Tchaikovsky, at Davies Symphony Hall, from February 7th to 9th. For more information and tickets, visit the San Francisco Symphony website.